ROMA SPARITA Restaurant, Rome, Italy. To be discovered. | Travel Blog & Co. 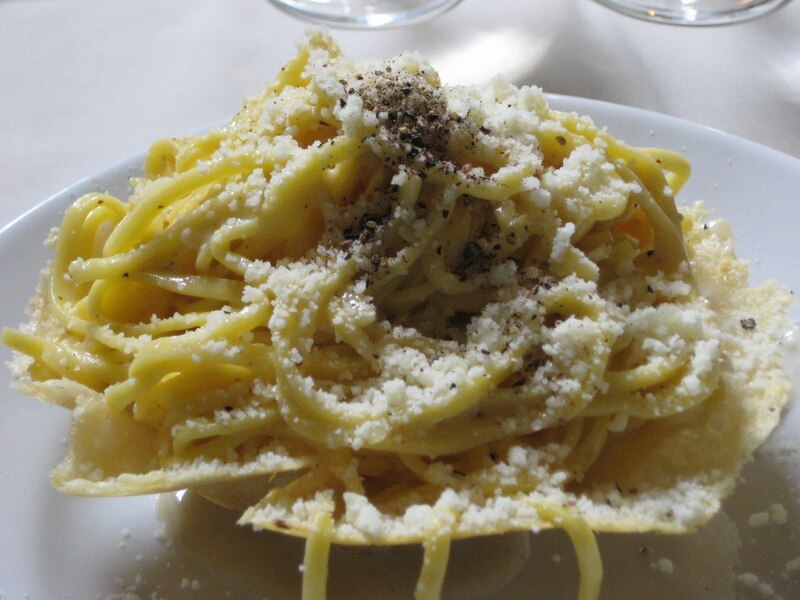 Settled in the quietest side of Trastevere, just next Santa Cecilia church, this cosy restaurant will astonish you with its Bucatini all’Amatriciana or Cacio&Pepe in crosta di Parmigiano (see pic), but you can’t even help ordering Carciofo alla Giudia, if season allows. For the record, Roma Sparita has been featured by The Guardian, as one of the 10 best restaurants in Rome. You’re highly advised to book in advance. This entry was posted in Hotels & BB and tagged articles, blog, bucatini, cacio pepe, community, cooking, food, italy, kitchen, lifestyle, restaurant, roma sparita, rome, santa cecilia, social, the guardian, trastevere, travel by costanzafabbri. Bookmark the permalink.